The biggest perk of being a beauty blogger has to be when companies extend an invitation to go and play with lots of beautiful new make up. What makes that better? When said company is Irish. 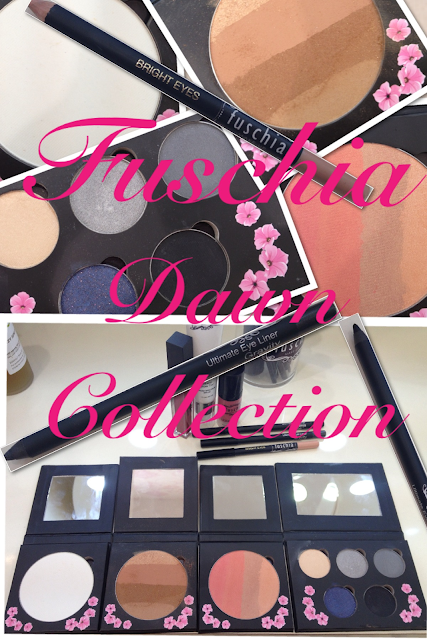 Fuschia Make Up was set up in 2005 starting with its first store at the Scotch Hall in Drogheda. Fuschia was founded by Gillian Moore, we went to the same secondary school albeit a few years apart! there must be something in the County Louth water- Beauty nut central! Since its start in 2005 Fuschia has gone from strength to strength and is now available in over 250 salons nationwide. Fuschia has JUST opened its second colour concept store in Swords Pavilions so I went along to have a snoop about and learn more about the brand in general. two high impact celebrity inspired make up lines called Dawn and Juliet. My particular favourites in this line include the Liquid Blush 'Unrestricted' which I have used every single day since receiving it. It is so bendable you can go from coco the clown to blushing beauty in a few buffs of your brush! You only need a tiny dot of this stuff so it will really last you and are well for the 17.50 price tag. Another favourite from this collection has to be Fiercely Fabulous lip lacquer, this stuff is so nourishing and long lasting I adore it. It’s not as tacky as most glosses and it is super highly pigmented- it also smells really nice which is always a bonus. It costs 16.50 and one swoop of the applicator sufficiently covers lips, much like the blush, a little goes a long way so it should last you well also. 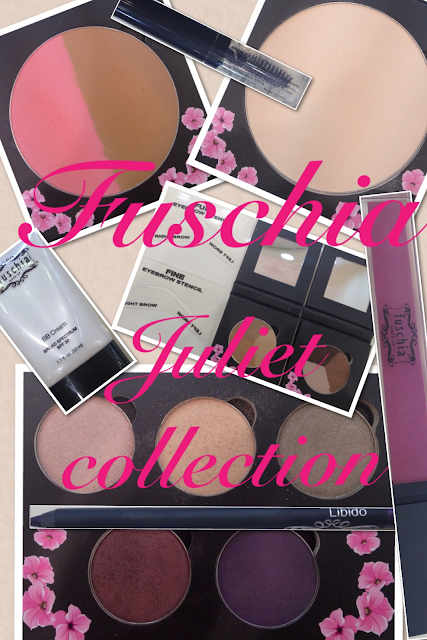 The Juliette collection is equally as fab. There is just so much to choose from. This collection is all about natural beauty and glowing skin. This range includes a BB cream that is sure to set the market on fire. It costs 30 euro and comes in light and medium, the coverage is REALLY brilliant for a BB cream, unfortunately it is just a shade too dark for moi but I loved the coverage and gleam it gives to skin. I was particularly taken with the eye pencil in ‘libido’ a real nice departure from the tiresome black liner. It was an aubergine purple colour and applies like butter. While not an obvious purple it really makes eyes pop. I would easily say this eyeliner is up there with MAC. It costs 13.95 and it is the one thing I would urge you all to give it a go! Fuschia is now FIRMLY on my radar! Ive been using my products non stop for the last 8 days and trust me, this stuff is good. I wouldn't write about it otherwise. Fuschia Mineral Starter kit this costs 65 euro and is actually, a bit class. Let me just remind you that buying ONE frickin' brush in M.A.C costs like 50 quid!!!!! Basically Rice Powder gives your skin a beautiful matte finish, for nights out this stuff is the bomb. It is talc free using rice starch, cornstarch and minerals to set the skin. Its really great and will insure you don't shine bright like a dyson in pics on your nights out! I adore your blog Katie, it's always fun and very informative! Need need NEED the Fuschia Mineral Starter kit in my life. I want your shoe collection too but fear I would have to sell a lung! Hahaha... Shine bright like a dyson!!!! I love it! I popped into their store when I first moved here, but never bought anything. But I am going to go back for a bit of a play soon! I'm just so impressed by it all. The shops amazing! The make up tools are really impressive with well detailed information. Good job Katie.